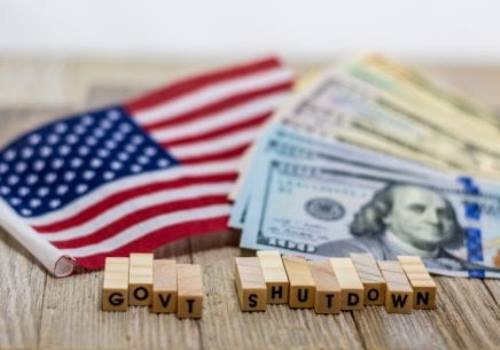 The partial government shutdown begins to affect Financial Technology (FinTech) industry. This was noted by Donna Fuscaldo – Forbes contributor, on a post on Forbes on January 23rd. The effects of government shutdown on Fintechs begin to be evident from both regulatory and customer standpoints. Being the longest period in the modern era, shutdown of the Federal government has also affected other sectors, such as stock market. Delayed administrative and financial efforts. For instance, startups that want to raise fund via an Initial Public Offering (IPO) have to delay their plan. Similarly, those who need a sign-off from the government authority find the efforts delayed. Loss of approval from the authorities. A number of fintech startups have to run the business without approval from the authority. Worse, those who usually obey the rules do not know what to do with their business permits. Halting down SEC. The irony is evident in Securities and Exchange Commission (SEC). While on normal operation, the SEC keeps the financial system working in an incredible way. Nonetheless, it can hardly do the jobs right when the government is not operating. Delayed IPOs. The initial public offering (IPO) sessions usually take place at the first quarter of the year. A number of IPOs have been pending. They include Uber and Lyft, which are scheduled to go an IPO at the first semester of 2019. If the shutdown is prolonged, more other IPOs will have to wait in a long queue. So, how does the shutting down affect the FinTech? Take Rally Rd, an investment marketplace operator based in New York, as an example, Rally Rd needs sign-off from SEC for its offerings. The financial institution allows startups to invest via IPO. However, it cannot continue the fundraising session without SEC approval. Similarly, it cannot extend the business into other markets, like entertainment, without belling of the SEC. The federal government plays a crucial role in the financial technology industry as a whole. Shutting down of the federal government makes everything difficult. In fact, not all FinTechs are negatively affected by the partial shutdown of the government. This is particularly true for established players in Financial Technology Industry. The government shutdown gives the existing players a room for movement to deal with the market. The new comers cannot easily enter since they have to wait for the regulatory approval. Actual, this applies for all industries, including computers, software, and many more. However, Fintechs are of special interests among startups and beginner investors. One of the positive effects of government shutdown on Fintechs includes slowing down the pace of competition. This also benefits the customers, since they can plan their finance without the hassle of changing markets. However, when the shutdown is prolonged, the positive effects will not stay longer. More negative effects are approaching. So, we have there is an immediate solution to the partial shutdown of the federal government. Therefore, terrible damages can be avoided.